In addition to the obvious objects in this region, some faint blue reflection nebulae are recorded. 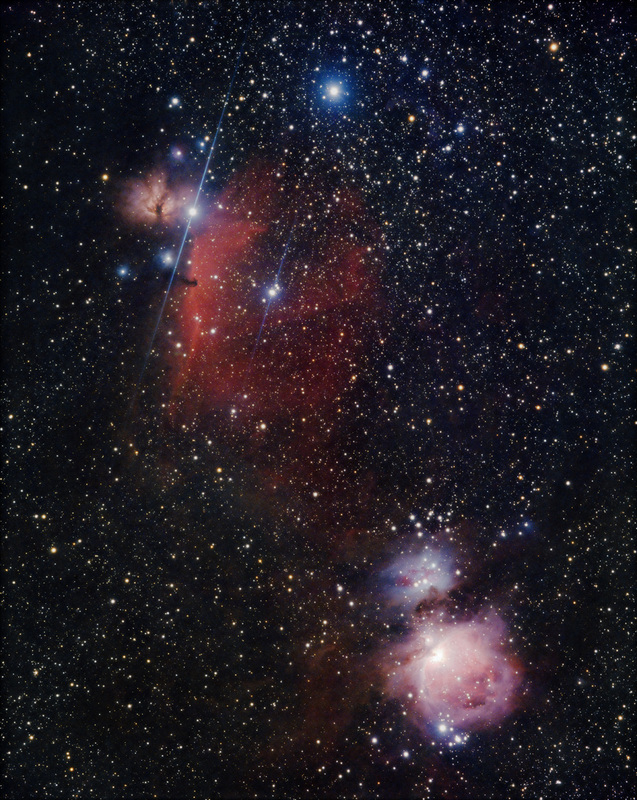 IC 420 is to the right of NGC 1977. To the right of the center belt star Alnilam are some faint blue nebulae (perhaps named LBN 935), which are documented in a paper by Ogura. Other reflection nebulae here are NGC 1990, IC 431, IC 432 and IC 435.